The more you use your iPhone, the more you can get frustrated that your laptop lacks the ability to connect to the internet wherever you go. Hotspots are all very well, but they don't help when you're on a train, or if you need to file a document when you're out and about. Happily, the iPhone can get you online anywhere you can get a mobile data signal. 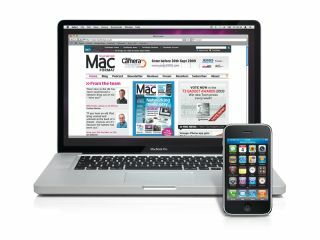 It's through a process called tethering – accessing the internet on your Mac or PC through your iPhone. You can do it by connecting your iPhone to a spare USB port on your computer, or simply by pairing them using Bluetooth. With this latter method, you can leave your iPhone in your bag or pocket – so long as it's within a few feet of your laptop, then you're good to go – though bear in mind that having Bluetooth active will reduce the battery life of both the laptop and iPhone. Sadly, you can't just piggyback your iPhone's own unlimited data connection – at least, not without jailbreaking your iPhone and getting on the wrong side of the terms and conditions of your contract. If you're on O2, you need to add a tethering bolt-on. You'll have to pay either £9.79 a month for a 3GB cap, or £29.36 a month for 10GB. These are costings for personal users, business users pay differently. Full details are available from O2's Internet Tethering page. Various options are available on Orange tariffs, starting at 500GB for £4.89 a month or 1.5GB for £9.79 a month. Vodafone is charging £5 for 500GB, £10 for 1.5GB and £15 for 3GB. So roughly the same as Orange, more expensive than O2. Note that tethering is very much a UK-only deal; AT&T in the US doesn't even support tethering yet. On all tethering packages international roaming for data isn't included. And, of course, this is over and above your normal line rental and are monthly fees. If your iPhone is connected to the data cell network with just GPRS or EDGE, any incoming calls will go to voicemail while you're tethering, though if it's connected using 3G or WiFi, you can take and make calls at the same time. So, how's it done? We set to finding out! On O2? First you have to add O2's Internet Tethering Bolt On. Visit here; O2 aims to add the capability to your account within 24 hours. Then, on your iPhone, go to Settings > General > Network > Set Up Internet Tethering. You can turn tethering on by flicking the switch. Apple provides information on how to connect using either USB or Bluetooth, right here on the tethering screen. It's not exhaustive, though; this tutorial will give you better guidance on getting everything set up.